If you have been watching your analytics for traffic to AMPlified pages, you have probably seen some wild fluctuations in the amount of traffic received. Google commented in the Webmaster Help forums about why traffic can very so much. Tomo Taylor from Google responded that because the factors used to determine the stories that appear in the top stories can vary, it is normal to see these fluctuations. 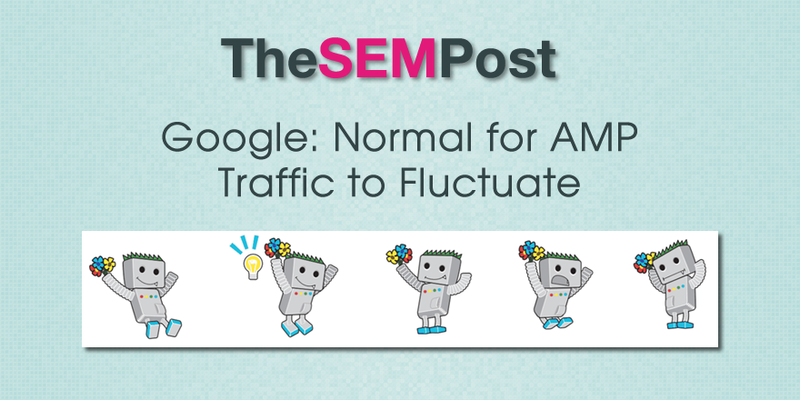 As you’ve discovered it’s quite normal for AMP traffic to fluctuate, and whether or not we show a site in the “Top Stories” carousel section at any point in time depends on many factors. Most of the pages shown in the top stories section have all been published within the past day or two. So Google is keeping fresh pages in the search results and unless you are publishing daily, and publishing the types of stories that people would be searching for, it can be a real hit and miss for many publishers if they do get AMP traffic or not.